Making a grand entrance at the 117th-annual New York International Auto Show today is electric car startup Lucid Motors. The California-based maker of the “private jet on wheels” is debuting its ultra luxury Lucid ‘Air’ along with its Alpha Speed Car, which recently completed its first high-speed stability test at a software limited 217 mph (350km/h). The fully autonomous capable Lucid Air represents a new take on luxury vehicles, packing in amenities often found in private jets and boasts expansive space with an exterior footprint of a mid-sized car. On paper, the Air may seem like a direct competitor with current Silicon Valley sweetheart, Tesla’s Model S. However, one can argue that the Lucid Air – with its Maybach quality interior and unprecedented performance – is better equipped to stand in a class of its own. The Air will ship with autonomous ready hardware, and when paired with the distinct focus on passenger comfort and luxury, the all electric powertrain that’s capable of 400 miles of range and 1,000 horsepower starts feeling like a different kind of experience altogether. 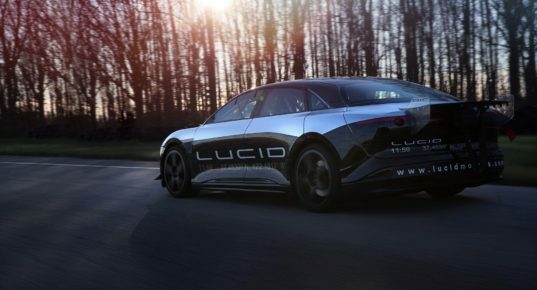 Impressively, the luxury of the Air will start at just $52,500 after federal tax credits, which is a sizable savings from the costlier Tesla Model S.
Lucid Motors is raising capital to build out the first phase of manufacturing from its upcoming plant in Casa Grande, Arizona. The $700 million factory is expected to begin production on the Lucid Air in 2019 and produce 10,000 vehicles within the first 12 months. 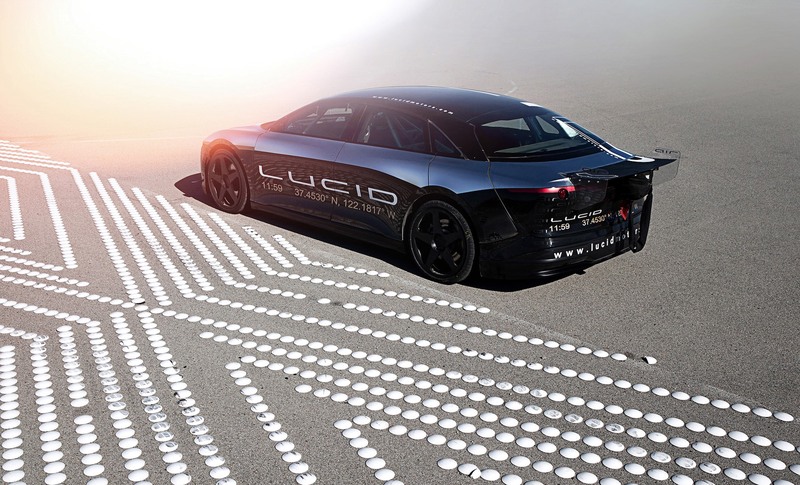 Lucid Motors revealed through today’s press release that the factory will reach full capacity in 2022 and produce 130,000 vehicles annually. The company also announced through the press release that it has begun high speed testing of an Alpha prototype of the Air. Lucid completed the high speed stability on a 7.5 mile oval race track at the independent automotive testing ground TRC Ohio. The vehicle was able to successfully complete the stability and high speed testing at a staggering 217mph (350km/h). Here are some amazing photos captured during the high speed run. 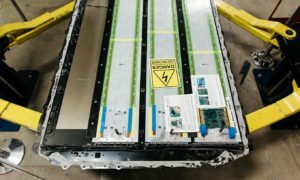 Unlike Tesla which produces lithium ion battery cells with partner Panasonic, Lucid has locked in an exclusive battery deal with Samsung SDI and will utilize “next-generation cylindrical cells that are able to exceed current performance benchmarks in areas such as energy density, power, calendar life and safety”, according to an announcement made by the company. Only time will tell if Lucid Motors can deliver on its grand vision of the future. If the test drive we took in Los Angeles is any indicator of what’s to come, Lucid Motors is on track to live up to its promises, tenfold. 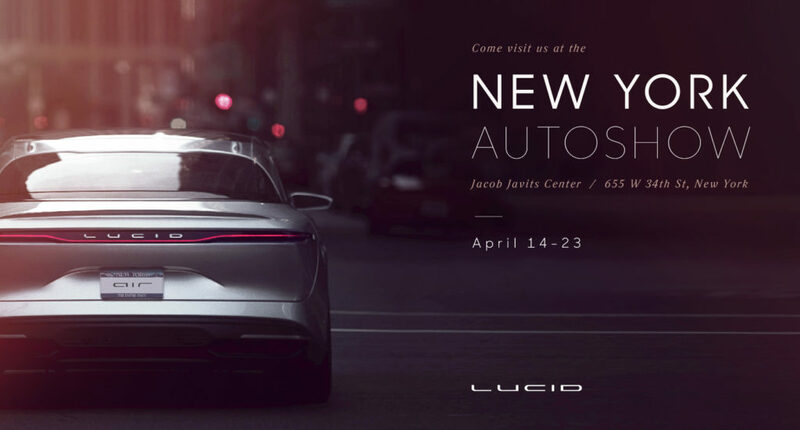 New York, NY, April 13, 2017 – Lucid Motors made its global auto show debut today at the 117th-annual New York International Auto Show. 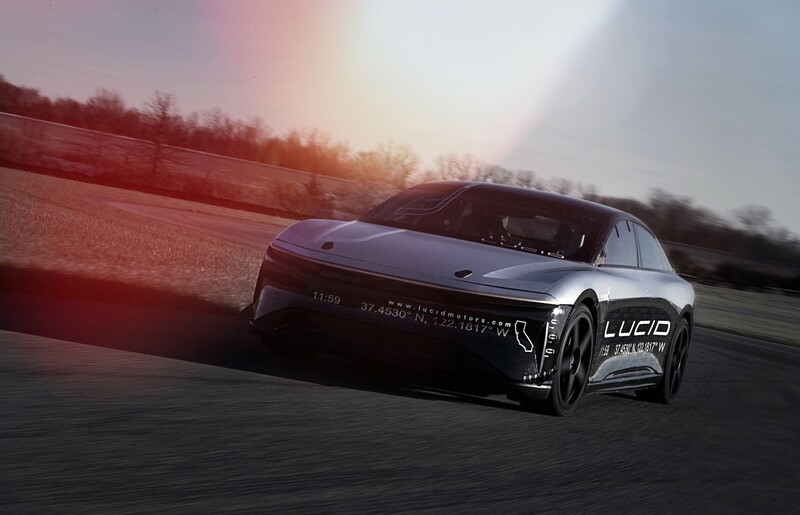 The company showed the Lucid Air luxury electric sedan and also presented its Alpha Speed Car test vehicle, which had just completed its first high-speed stability test at 217 mph. 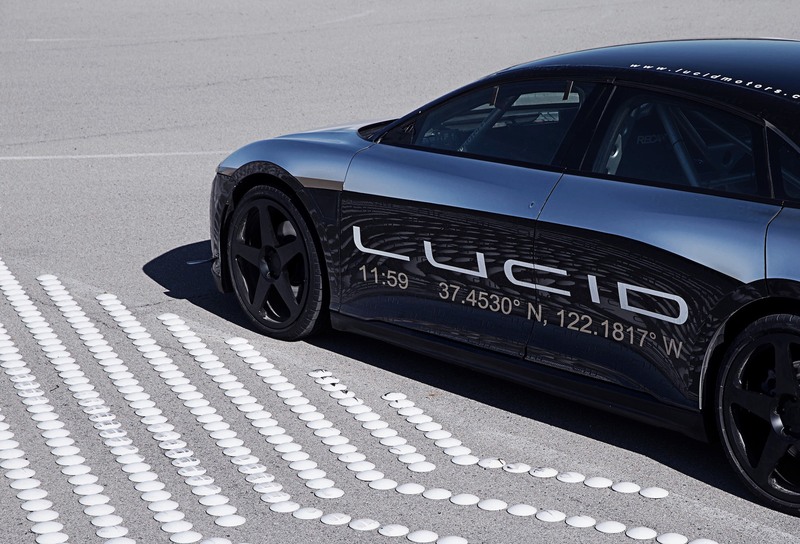 The Lucid Air was first unveiled in December 2016. 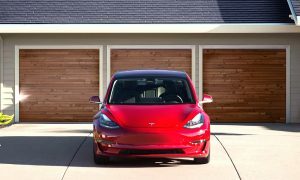 The all-electric sedan combines forward- looking design with groundbreaking technology to establish an entirely new class of vehicle. 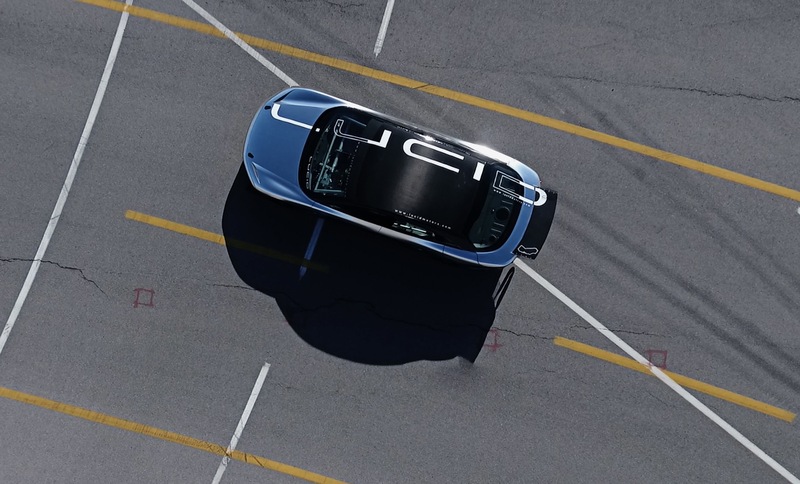 Featuring full-size interior space in a mid-size exterior footprint, the autonomous-ready Air will be available with up to 400 miles of range and 1,000 horsepower. The Air will be manufactured in Casa Grande, Arizona. 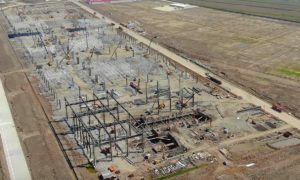 The factory, first announced in November 2016, will come online in 2019 and build 10,000 vehicles in the first 12 months. By 2022 the factory is expected to employ 2,000 full-time employees and manufacture up to 130,000 vehicles annually. The Lucid Air is priced from $52,500 after federal tax credits. The base Lucid Air will feature a 400-horsepower motor, rear-wheel drive, and a 240-mile range. Deliveries will begin in 2019. 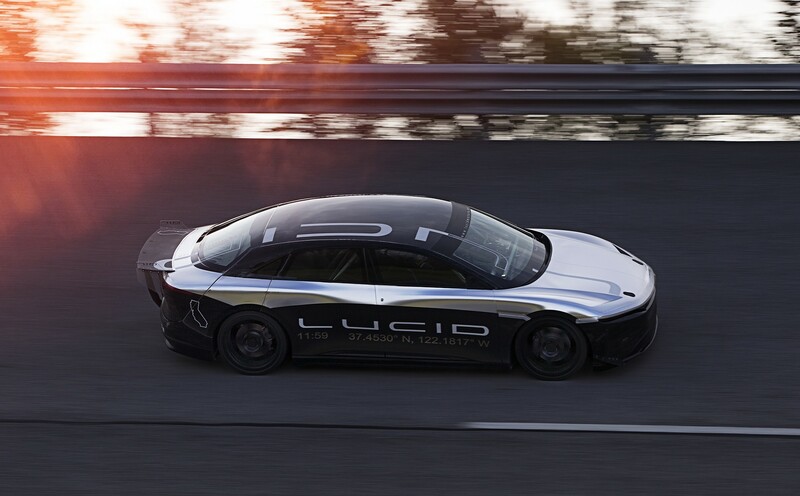 Customers can pre-order the Air at https://lucidmotors.com/car/reserve. In preparation for production, Lucid Air Alpha prototypes are undergoing a rigorous development program. Lucid has designated one of these test prototypes as a high-performance test vehicle and has installed a roll-cage for safety purposes. The Alpha Speed Car will be used for evaluating at-the-limit performance. 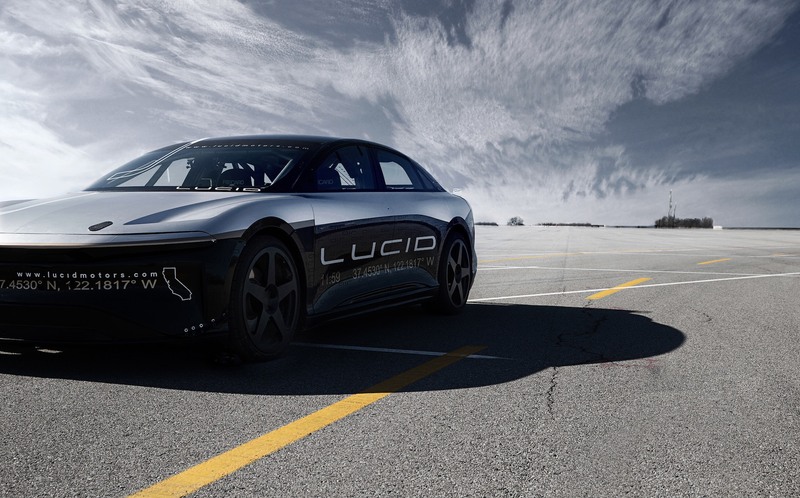 For the Alpha Speed Car’s first testing session, Lucid headed to TRC Ohio to use their 7.5-mile oval to evaluate high-speed behaviors, including vehicle stability and powertrain thermal management. The test, software-limited to 217mph (350km/h), was successful in demonstrating the capabilities of the car and in finding areas for improvement that could not be properly evaluated in static bench tests. Real-world tests are an important part of the engineering process, allowing the team to correlate computer simulation models with real-world performance. 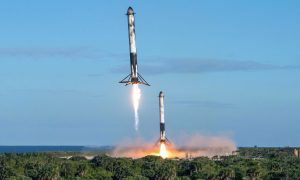 The collected data will now be used to finesse thermal and aero computer simulations and to make further performance improvements that will be tested later this year at higher speeds. 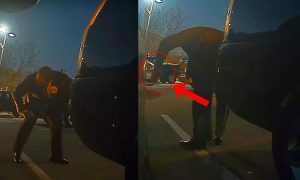 A video of the test can be seen at https://youtu.be/7k03MH7ztUs.